More than 11,000 manufacturers are using Thomas WebTrax to turn anonymous website traffic into real, actionable leads for their businesses. However, we understand that you may still have questions about WebTrax, how it fits in with other Thomas solutions, and how it stacks up to other tools available in the marketplace. Hopefully, this post clears things up and helps you decide which solution works best for your industrial business. What's The Difference Between Thomas WebTrax and the Thomas Network? Both the Thomas Network and Thomas WebTrax were built specifically for industry, with manufacturers and industrial buyers in mind. However, they serve distinctly different purposes. The Thomas Network is where 700,000+ active registered users go to source suppliers and new products, making it home to the largest and most active network of industrial buyers on the planet. 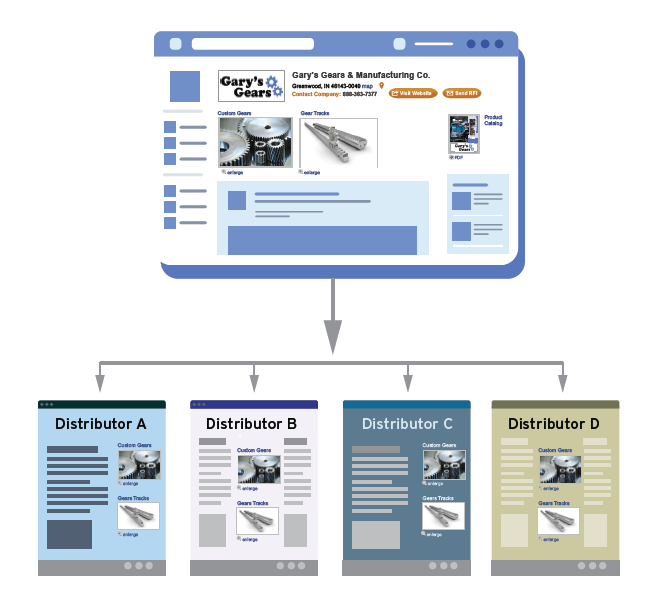 Suppliers can use it to advertise their businesses, putting themselves in prime position to connect with all of the buying decision makers that visit the platform. Thomas WebTrax, on the other hand, is an Opportunity Intelligence tool for manufacturers and industrial suppliers. 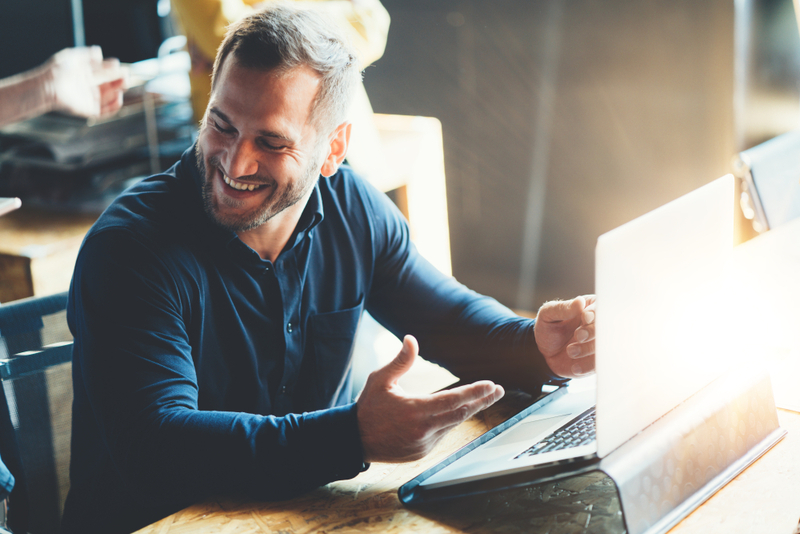 It can identify buyers who engage with your company online — both on Thomasnet.com and your website — so that you can track them throughout the buying journey and engage in more meaningful — and successful — conversations with prospects. What's The Difference Between Thomas WebTrax And The Thomas Index? Every two seconds, a buyer or engineer logs onto the Thomas Network to source products and find new suppliers. All of this activity generates petabytes of buyer behavior data, which our team continually captures and analyzes to enhance the advertising and industrial marketing solutions we offer to suppliers. The activity that takes place on your Thomas Network profile is visible in your WebTrax dashboard. In addition, our data is also used to spot trends and changes in the supply chain at large, and we use it to inform our Thomas Index, where we regularly examine spikes in demand for products and services, and provide actionable advice to the industrial space. What's The Difference Between Thomas WebTrax And An In-Market Buyer Report? Thomas WebTrax looks at buyer behavior data on your own web properties — your Thomas Network profile, your website, etc. — on a continuous basis. 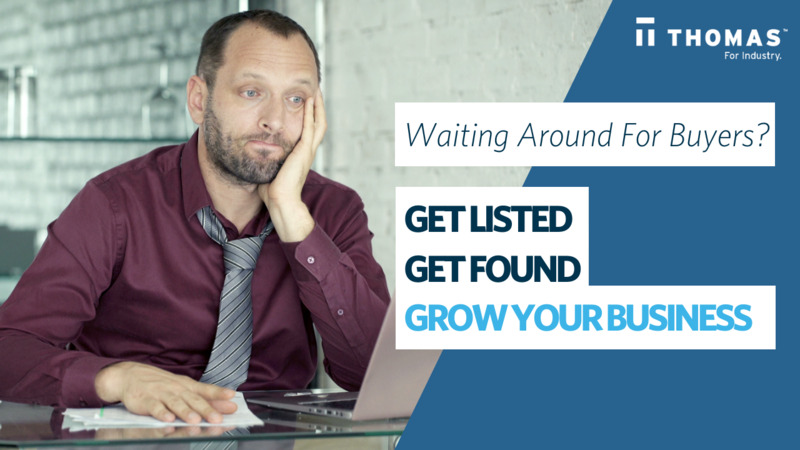 Think of it as an ongoing live feed of the buyers who are engaging specifically with you. An In-Market Buyer Report, on the other hand, looks at buyer behavior data in the industrial categories that are related to what you offer, showing you the buyers who are interested in your products and services, but who might not have engaged specifically with your company. Additionally, you can request one report at a time — meaning it's more of a snapshot of one moment in time than a live feed. 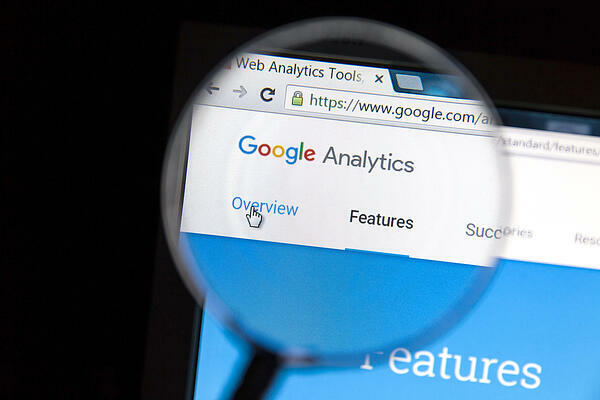 What's The Difference Between Thomas WebTrax And Google Analytics? This is probably the question we hear most frequently. After all, many people are familiar with Google Analytics, and they wonder if they could utilize both tools. The answer is a resounding yes! The two platforms complement each other, as they focus on different things. Google Analytics is great for monitoring the health of your website by keeping track of visitor metrics, bounce rates, and page performance. Thomas WebTrax was designed as a lead generation tool that highlights firmographic and demographic data on your anonymous users, as opposed to website metrics. Use both together to continually optimize your website and continually replenish your sales pipeline with leads. What's The Difference Between Thomas WebTrax and Google Analytics 360? While Thomas WebTrax was specifically created for manufacturing companies no matter the size, Google Analytics 360 is beneficial for large organizations generating millions of hits per month — above 10 million to be exact. For example, a couple of Analytics 360 customers are Panasonic and Adidas, and they generate high-traffic and data daily. Like Thomas WebTrax, Analytics 360 offers advanced tools to get a deeper understanding of your customers. Both tools help marketers connect their data across all their platforms — a pain point many marketers experience as they try to get a holistic view of their reports. In addition to the target company size, what's another notable main difference between Thomas WebTrax and Analytics 360? Thomas WebTrax lets you track, identify, and engage in-market buyers for free — instead of the whopping $150,000 that Analytics 360 charges. With Thomas WebTrax, you have the ability to track the entire buying process of your industrial leads with a free account. It goes beyond any other analytics program because you gain access to real-time data from your website, your Thomas Network profile, CAD files… and even your phone calls. Google Analytics offers a self-service help center and community forums for support, but the reliability of their expertise specific to your business can be subjective. Sure, they’re Google experts, but are they also experts in the manufacturing industry? With Thomas WebTrax, you are partnered with a Certified Thomas Partner (CTP) seasoned with the industrial knowledge to grow your business. After all, we have been in the industry for 120 years. Ready to Grow Your Industrial Sales Pipeline? What's the best way to figure out which digital marketing tools work best for your industrial business? You’ll need an assessment to evaluate your business goals and Thomas can help sort that out for you. Contact us to see how we can help grow your industrial leads. Or maybe you're ready to get started and see the action for yourself? 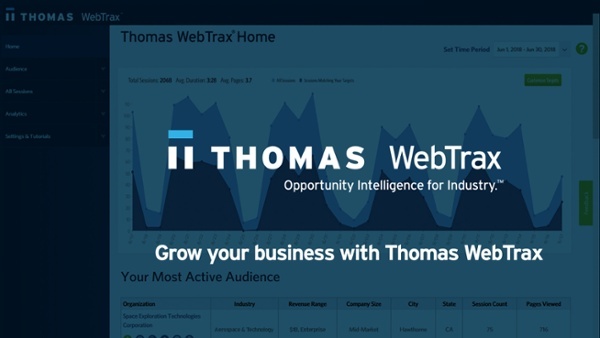 Sign up for a free Thomas WebTrax account – it takes just a few minutes and it’ll get you on the right set of ‘Trax’ to grow your customer base.